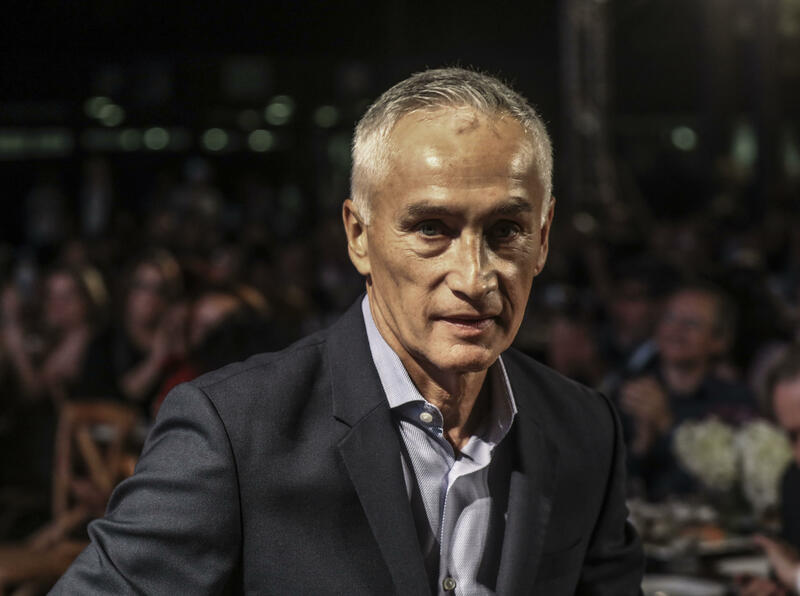 Emmy Award-winning journalist Jorge Ramos, who has interviewed the last four U.S. presidents while they were in office, doesn't think he'll get a chance to sit with the current one. The longtime Univision anchor spoke on CBSN's "Red & Blue" Wednesday about possibly interviewing President Trump, his new memoir and why he was wrong about the Latino vote in the 2016 presidential election. During a 2015 campaign stop in Iowa, Ramos grilled then-candidate Trump on immigration -- only to be forcibly escorted out by a security guard. The clip went viral. Nearly three years after the testy exchange and he isn't optimistic about the prospect of pressing the sitting president for answers. "At the end of that press conference when I was allowed to go back, he told me, 'We'll talk a lot Mr. Ramos.' That was more than two years ago and it hasn't happened," Ramos said. "He doesn't even talk to people who are not on Fox News. I don't think I'll ever talk to Donald Trump. I have many questions, but I don't think he wants to answer any of them." Jorge Ramos: Best journalism happens when reporters are "not neutral"
Ramos, who is widely considered to be the "voice of the voiceless" within the Latino community, has been critical of Mr. Trump, specifically on issues such as immigration reform, the U.S.-Mexico border wall and ending DACA. The rise and impact of the current administration prompted him to write his book,"Stranger: The Challenge of a Latino Immigrant in the Trump Era," where he talks about being a stranger in his own country -- even as a citizen having lived in the U.S. for decades. "After 35 years living in the United States with both my children born here, I still feel like a stranger sometimes," Ramos said. "What has happened? Well, Donald Trump has happened. In a press conference in June 2015, he told me 'Go back to Univision.' He really meant go back to Mexico. That's the attack we usually get from people who do not understand the immigrant experience"
Ramos predicted Mr. Trump wouldn't win the 2016 presidential race because he could not "connect" with Latino voters. CBS News' Elaine Quijano asked him on "Red & Blue" what went "wrong" with his prediction. "I was wrong -- this is what happened: Twenty-seven million Latinos were eligible to vote, only 13 million went to vote," he said. "What happened? I think many were disillusioned with Barack Obama. They realized he didn't keep his word, and the Democrats were going to do the same thing. And they had a candidate who was being anti-immigrant, making racist remarks, and decided they didn't want Donald Trump either. In the end, 14 million Latinos decided to stay home." Ramos also chimed in on the news of White House communications director Hope Hicks' resignation. "The problem is that who believes her after saying that every once in a while she used white lie to explain what was going on in the White House, and I call her and say, can you confirm this, is she lying to us?" he said. "The other thing is Donald Trump, her boss, has been lying constantly since he became president." Watch Ramos' full interview with CBSN's "Red & Blue" by clicking the video at the top of this page. The show streams Monday through Thursday at 9 p.m. ET.